The pdf version that is found online is an older print and I have uploaded it below. I have also provided a link to a bookstore in the U.S. that carries the Maktabah Haqqaniyyah edition of the book. In order to purchase a copy, one will have to call the bookstore. I do not believe the books from darul-hikmah.org can be ordered online yet. “In this important work the Shaykh relates fiqh judgments, particularly those of the Hanafi madhhab, to the hadith and traditions, scrutinising each for what the great scholars have said about the strength or weakness of its chain of transmission. The book was to have dealt with all of chapters of fiqh, but sadly the Shaykh only completed the book on purification and the prayer. Fascinatingly, he tackles matters that engage us all today, including practices that have become a source of controversy over the last few years and thus it will be an important reference work in everyone’s library. Concerning this book the servant of the prophetic hadith, Muhammad ibn ‘Ali an-Nimawi said, “This is a collection of hadiths, traditions, a collection of narrations and tidings which I have chosen from the Sahih, Sunan, Muj’am and Musnad collections. I have mentioned the source of each hadith but refrained from mentioning the complete chain of transmission for fear of lengthening the work. I have elaborated on the status of ahadith that are not from the two sahih collections (i.e. al-Bukhari and Muslim) in a satisfactory manner and have named the book Athar as-Sunan (The traditions of the Sunnahs) while simultaneously asking Allah for His decision. Go to the Arabic books section and search for code: 0102757. Is Turath translating only the matn, or Nimawi’s commentary as well? It seems from the description that the commentary will be translated too. According to Mawlana Bijnori, Allamah Kashmiri had written invaluable footnotes to Athar al-Sunan. Has this ever been published? He also writes that Mawlana Muhammad bin Musa Mia of South Africa had made photo copies of the original and send it to many scholars and institutions. It would be extremely beneficial if someone would obtain a copy and upload it. 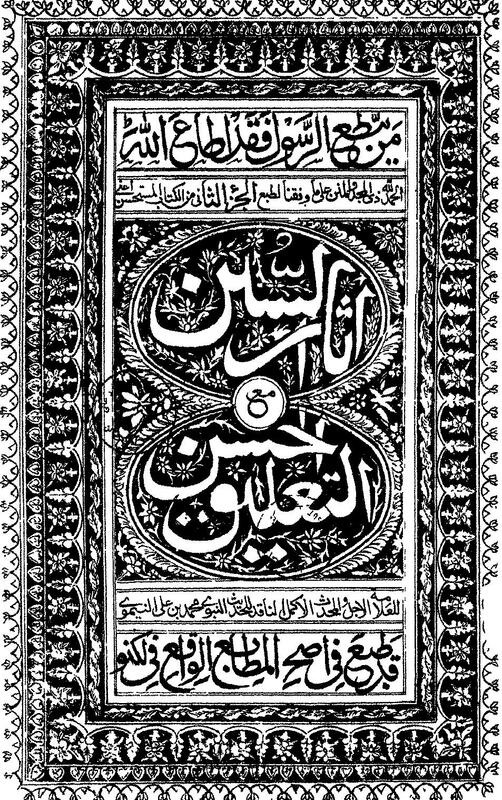 A friend of mine acquired some copies of ‘Allamah Kashmiri’s (rahimahullah) footnotes/commentary from Darul Uloom Deoband a few years ago, so it may be possible to get it from the library. I was told that Mufti Yusuf Ludhianwi Shahid (rahimahullah) had comissioned someone to work on the footnotes/commentary. I’m not sure how that progressed. I have a copy of it, however it is extremly difficult to read, due to the tiny script and the low standard of the photocopy. Work on it seems to have stalled, so Majlis Ilmi have handed it over to Shaykh Awwamah and requested him to work on it. To the best of my knowledge, he hasn’t started.